The Challenge was to turn all this RED DIRT into a Lush GREEN (Bermuda Grass) LAWN. That had to accomplished by Hand-Watering because there is no underground sprinkler system. 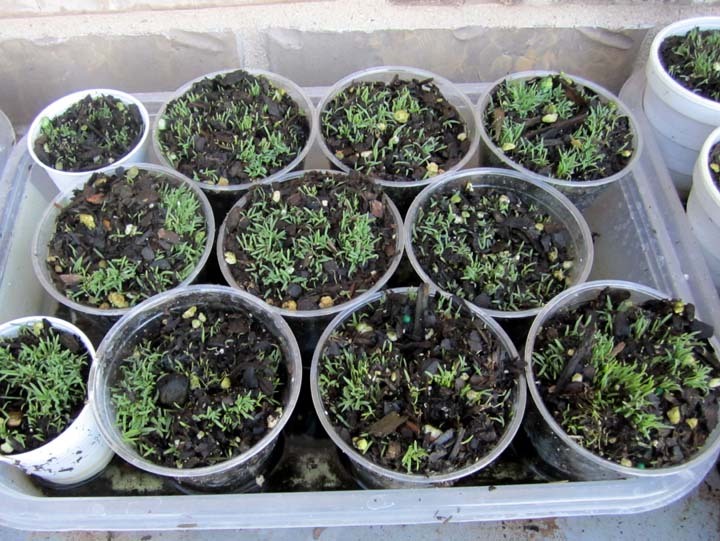 Our first approach to growing grass, was to sow seeds; but the task of keeping the seeded area moist was overwhelming. We don't have an underground sprinkler system. So we thought about buying rolls of sod and cutting into 6" squares (so it would cover more ground). But we were too late in the year, the nurseries and home improvement stores weren't stocking sod in July. So as an alternative, we grew our own plugs. It was a time intensive process. Put Styrofoam cups into trays - kitty litter trays worked best. We lined them up on folding tables on the patio and them created "mini-greenhouse" by putting the trays on 3 plastic 4-shelving units. We covered each shelving unit with plastic. This speed up the growing process. We grew 25-35 plugs (depending on the size of the cup) in each tray. We started all the trays in one shelving units, then a week later started the second unit. A week later we started the third. 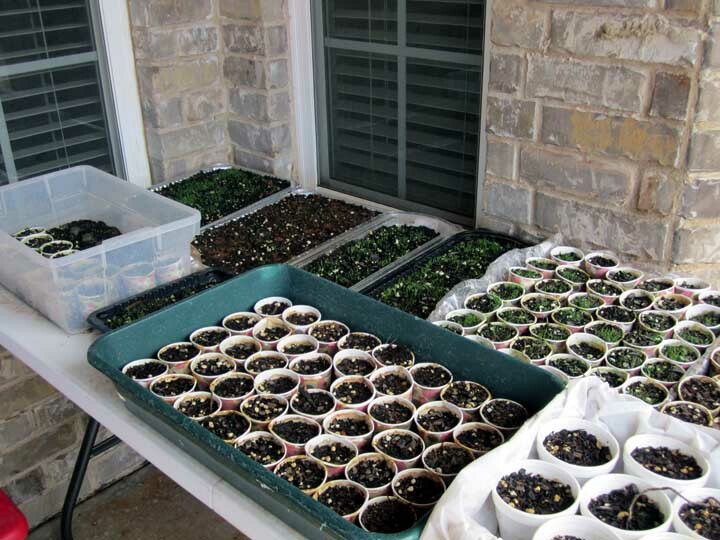 By the fourth week, the trays in the first unit were ready to transplant. So about every three or four weeks we were about to transplant 200+ plugs. And we started over. We started this system in July and continued until the last plugs were planted in early November. Finally to cover larger areas, we harvested slugs and transplanted them. There were patches of grass growing in the places where grass didn't need to grow, so we dug up what we called "slugs" and transplanted them in the front & back yards. We hand water every day until they were established. the grass plugs that we planted in mid-July has filled in nicely. we did not want grass to grow and transplanted it where we did. The slugs were transplanted in the more vast red dirt areas. Between the plugs & the "slugs", we did create a green lawn. 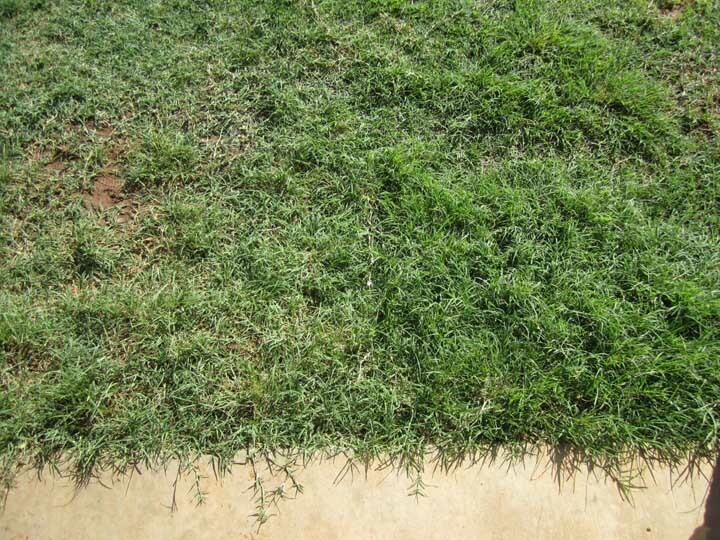 Bermuda grass is a perennial. It spreads in two ways. 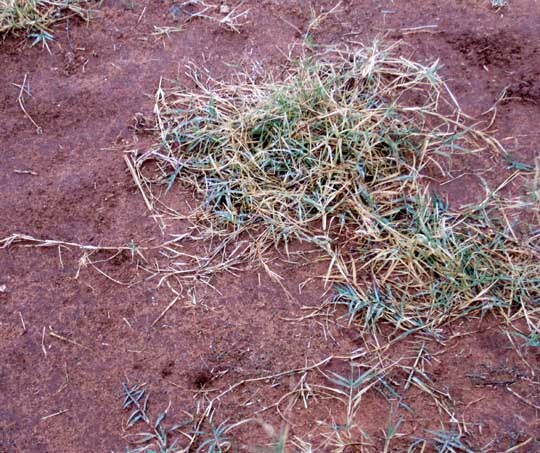 It puts out above ground runners called stolons and also below ground shoots called rhizomes. Common Bermuda can be very invasive. * Hope it invades our lawn! It will be interesting to see what comes back in 2012. 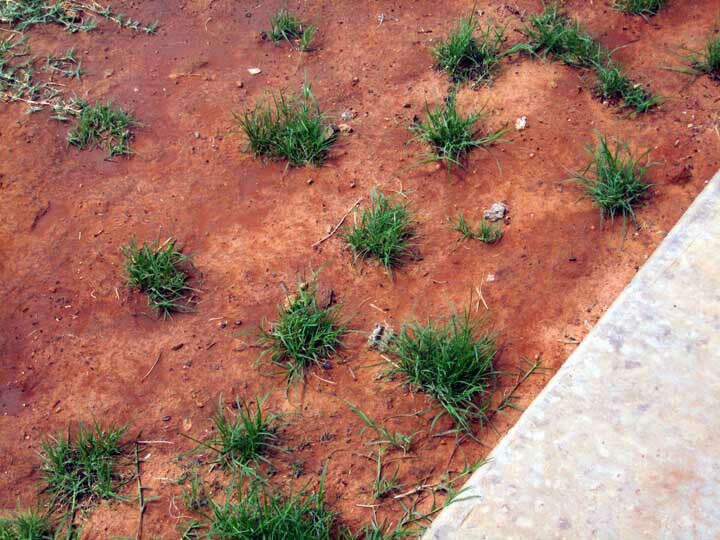 *It's the rhizomes that give Bermuda grass its resilience. They spread out from the base of a mature plant and start a new plant. They may spread a few inches or several yards before popping up. 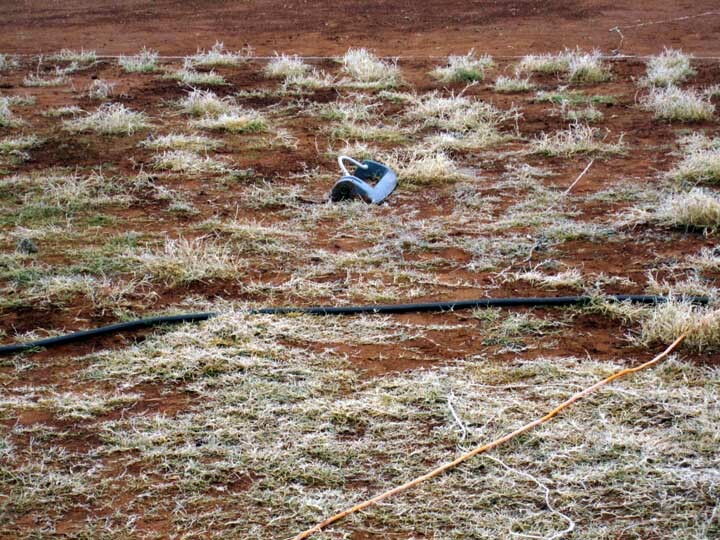 It's these rhizomes that help the grass survive droughts. Even if the top growth dies off the underground shoots can remain viable for years.